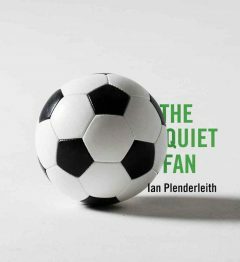 On May 22, at 3pm (US Eastern, -5 GMT) soccer writer and journalist Ian Plenderleith joins FSF to discuss his memoir, The Quiet Fan. Neither Fever Pitch or a hooligan’s account, this book instead examines the role of football as a reassuring, ever-present background to life’s thrills, pains and fluctuations. Contact Peter Alegi (alegi AT msu DOT edu) to participate in the online forum.